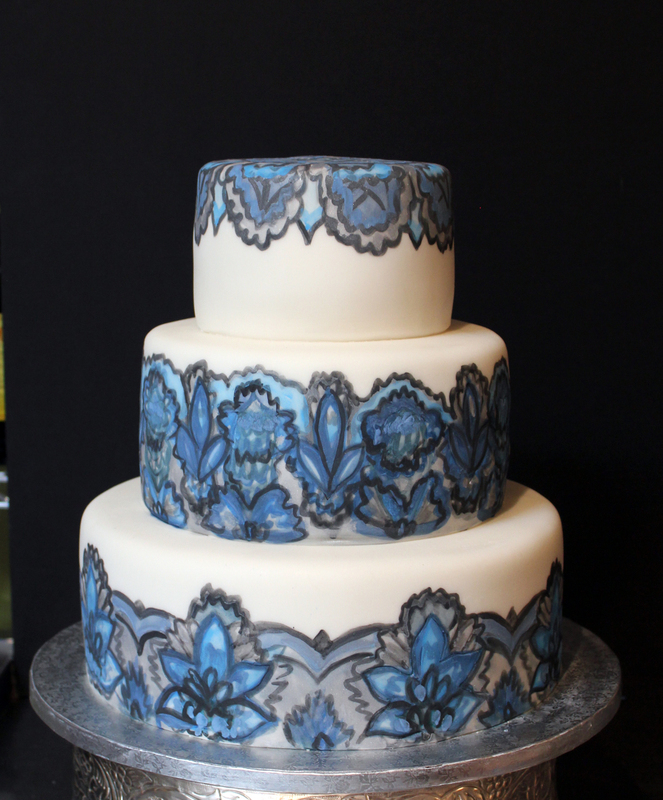 We are creating so many hand-painted wedding cakes these days here in beautiful Sedona, Arizona - our brides find inspiration from china, fabrics, invitations. The process is similar to painting with water colors - but the medium is food coloring! There is no limit to the design that can be created on a wedding cake - the imagination rules here!